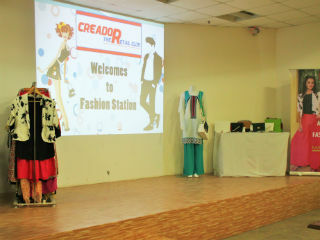 'Fashion Station' organized by the JIMS Retail Club. 'Creador'- The Retail Club of JIMS organized a styling workshop, 'Fashion Station' for PGDM, PGDM – IB & PGDM –RM students on 3rd September 2014. 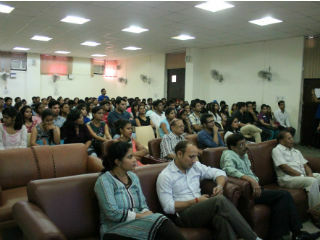 The event was conceived, mentored and monitored by the Retail Department of JIMS. Team ‘Creador’ was instrumental in coordinating the event. The event focused on general styling tips, wardrobe solutions and dressing according to different body types. The top retailing brands i.e. W and Tommy Hilfiger facilitated the event. Ms. Anupriya Topno, Executive-Marketing and Ms. Mahima Shukha, Stylist focused on women styling whereas Mr. Ankit Sharma ,Stylist did styling for men using Tommy Hilfiger apparel provided by the brand. 'Star for the Day' activity was also conducted where students were asked to be dressed in the most stylist manner and walk the ramp and pose as a 'Star' in front of flashing cameras. 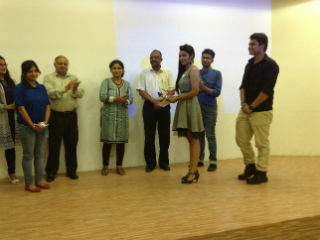 Dr. Ritu Bajaj and Mr. Ankit Sharma were the judges for the event. Mr Siddharth Saini, Mr. 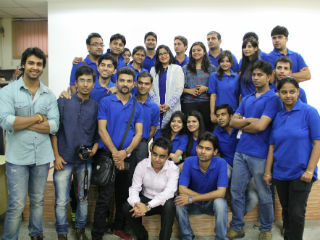 Fresher 2014 and Ms. Tanmeet Kaur , Ms. Fresher 2014 initiated the activity. Mr. Ayush Jain PGDM batch 2014-2016 was the winner in male category and Ms Nikita Kumar, PGDM batch-2014-2016 in the female category. The runners up were Gursagar Deep Singh, PGDM batch 2014-2016 and Ms. Shreya Garg ,PGDM-IB batch 2014-2016. The result of the Online Selfie Contest organised by Creador Club was also declared during the event. Ms. Khushboo, PGDM batch 2014-2016 and Mr. Damanpreet, PGDM batch 2014-2016 were the winners of the contest. Prize distribution was done by Mr. Arnab Ghosh, CRMC - JIMS; Mr. Cherian George, Head - Placements, Mr. Ankit Sharma, Stylist- Tommy Hilfiger, Dr. Ritu Bajaj, Faculty - JIMS and Ms. Surbhi Jain, Head – Retail Program. It was an excellent platform for the students as they learnt the art of styling with limited selection of stuff in the wardrobe, dressing differently according to different occasions using same collection of garments and accessories and dressing according to body type.